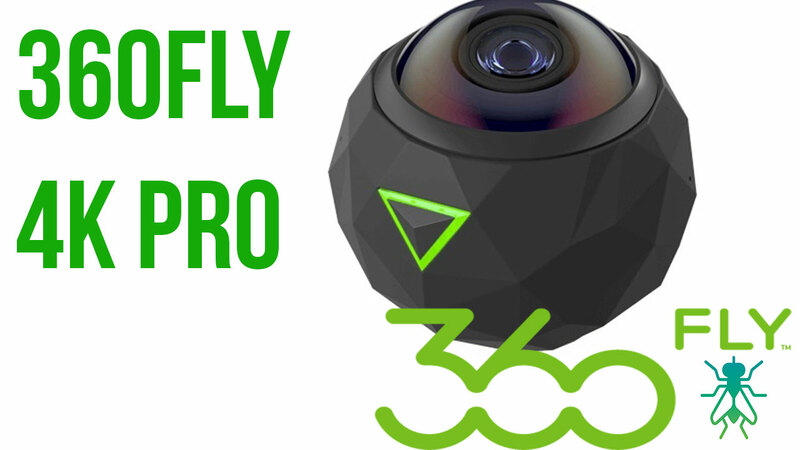 Home » 360 Action Cameras » 360Fly 4K Pro – New 360 action camera coming soon. 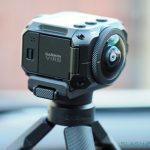 360Fly 4K Pro – New 360 action camera coming soon. 360 Fly, the makers of the 360Fly 4K action camera, are updating their product line with not 1, but 3 new 360 cameras. The 360Fly 4K Pro, 4K H and 4K Pro Dual will be released later this year and each will be targeted at a different audience. The 360Fly 4K Pro is an updates version of the 360Fly 4K. It’s aimed primarily at consumers who want an easy to use 360 action camera. It features one fish eye lens, can shoot in 4K resolution and will now feature HDMI and UBS out ports so you can stream 360 video to an external device in full 4K. 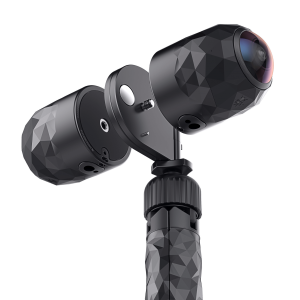 As with the older model, the 360Fly 4K Pro will be both waterproof and shockproof, perfect for those who want a camera that can withstand the elements. Not much word on many of the other features as of yet, however the company did mention the Pro version of their camera at the 2017 Street View expo in Tokyo. You can see this presentation they gave here, but the audio is pretty bad. We do know is that the 360Fly 4K Pro will be one of the cameras that supports Facebook’s Live 360 Ready programme that was recently announced. In fact, it was this announcement that let the cat out of the bag, as the 360Fly 4K Pro appears on a list of Live 360 Ready cameras. The camera will also feature data overlays similar to the Garmin VIRB 360. The camera is supposedly set for release in September for a price of $799. So what else can we expect from the 360Fly 4K Pro. Other than what’s already been revealed, I’m hoping for a pretty substantial upgrade. The fact that it has the word “Pro” in its name suggests that this will be a more advanced camera than its predecessor, with better optics and more memory. I’m just speculating now, but I’d expect the new camera to feature an upgraded lens sensor to make its 4K 360 video look even better, more advanced stabilization software, more sensors and the option of data overlay, voice control, and further hardening of the outer shell. 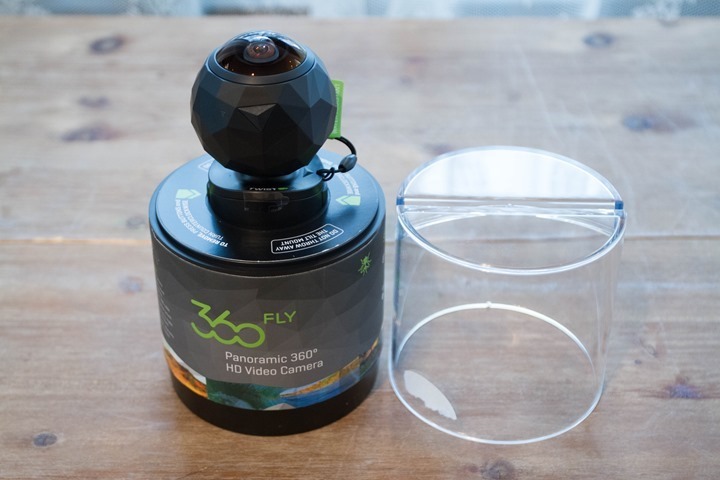 The 360 Fly is unique in that it only has one lens and is therefore limited to a field of view of only 270 degrees, meaning the camera cannot record what’s directly beneath the camera’s lens. This may seem like a weakness, but think about it, do you really need to record what’s underneath the camera? A 360 action cam is likely to at mounted to a helmet, or bike, or car, so you are not really going to be interested in what’s underneath the lens. This allows the 360Fly to create sharper looking 360 vidoes because it doesn’t waste pixels shooting what nobody is going to see anyway. It seems that the designers of the 360Fly 4K Pro agree, as they have stuck to the 1 lens design. Another good sign that an update is about to be released is the fact that the current 360Fly 4K is now nearly half price on Amazon. This a pretty good deal for a more than decent 360 action camera. The second new release coming later this year is the 360Fly 4K H. The “H” in this instance stands for “helmet” , and that’s because this cameras is deigned to effortlessly attach to any type of helmet. 360Fly tried this design with Bell helmets previously and now they’ve decided to expand its compatibility. 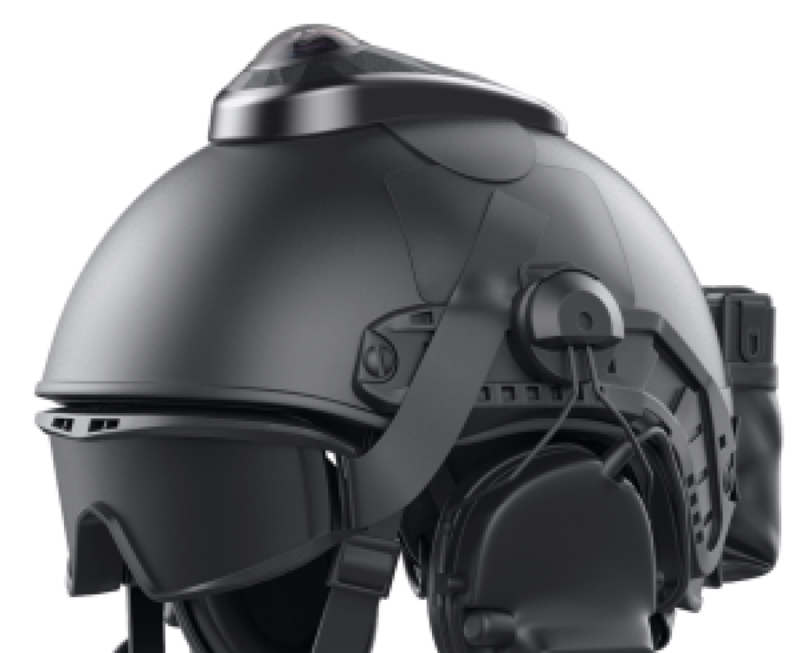 The Fly4K H is likely to retain similar features to the Fly4K, however it may have different features suited to its design as a helmet camera. No details on release date of price yet. The final camera in the 360Fly lineup is the 360Fly 4K Pro Duel. 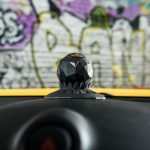 This camera, apart from being a bit of a mouthful to pronounce, is primarily aimed at professional 360 video creators. It’s essentially two 360Fly camera combined using a rig. This setup will allow you to capture 3D 360 video at a much higher resolution than just one camera. This rig will also be able to capure a full 360 field of view whereas a single 360Fly camera is limited to 270 degrees due to only having a single lens. This rig is likely to cost well over $1K, however the price has not yet been confirmed. Also no information on release date yet. 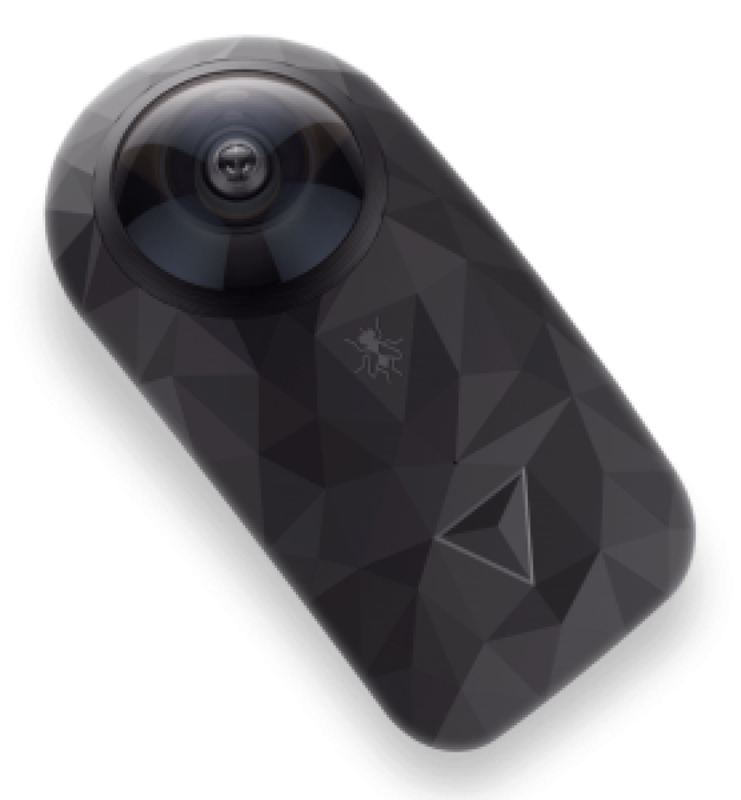 If you want to be the first to know when more information on the 360Fly 4K Pro (and the other new 360Fly cameras) is released, including specifications, release date and price, opt-in to my 360 camera email alerts.